An oil on canvas by Julius Rose of Munich, Germany. 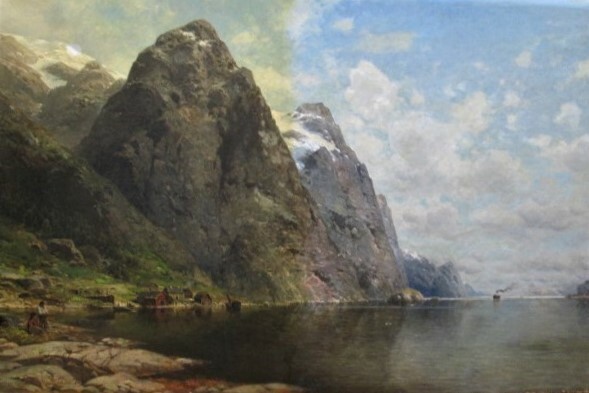 This painting was done in 1892. Since the painting was in good shape overall, we just needed to do a simple cleaning, correct some previous touch ups, in-paint a little flaking and then re-varnish her. Here she is shown half cleaned. Notice the tobacco yellowing of the varnish on the left side of the canvas. The right side has the varnish removed.